Update: It’s live right now! Hurry! 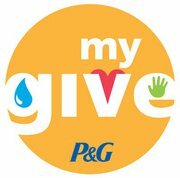 Today, March 28, at 6 p.m. EST, P&G myGIVE on Facebook will be giving away 8,000 Pantene Shampoo and Conditioner samples. “Like” P&G my GIVE on Facebook before the giveaway. And make sure to begin refreshing your browser one minute before it begins.